Outrage across the board after 'Survivor' loser outs transgender contestant on-air. Over an excruciating 15-minute segment to end Wednesday's episode of "Survivor," a desperate contestant outed another contestant as transgender, meeting instant outrage from the cast of the reality show, the host, and now the world at large. A contestant named Jeff Varner began the "tribal council"—the ceremony at the end of each episode where one contestant is voted off the island—by saying he knew he would be eliminated that night. That struck one contestant as ominous. "When somebody is that certain, a little feeling of unease creeps over me. I'm just preparing myself to be absolutely shocked tonight." That line would prove prophetic, as Varner proceeded to make a desperate plea to vote out another contestant, Isaac, by pointing to a larger deception between him and other players. "There is deception here. Deception on levels, Jeff, that these guys don't even understand," said Varner. "There's more." "Continue," replied Survivor host Jeff Probst. Varner then turned to Zeke Smith, who has identified as a gay man on the two seasons he's participated in Survivor, and asked "Why haven't you told anyone you're transgender?" 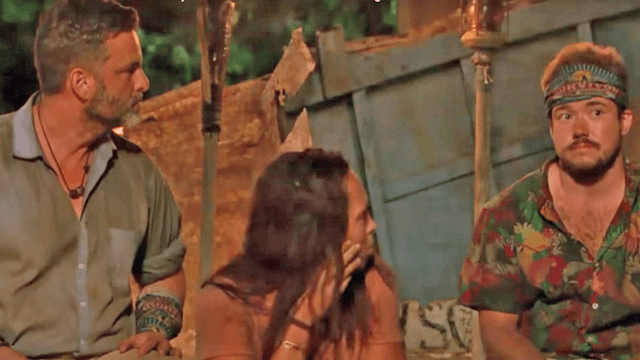 The outrage from everyone, Probst included, was immediate—as Smith sat stone faced in apparent disbelief. Varner tried to justify himself several times before breaking down in apology, but his initial response was telling: "What I'm showing here is deception." Jeff Probst was vocal in shooting down that logic. "You're saying that by not revealing it, he's capable of deception. That's a giant leap in logic. Do you not see that?" "It's a game for a million dollars, and I clearly have made the wrong choice tonight," said Varner. Varner was voted off the show. Zeke Smith, and transgender people like him, are not deceiving anyone by being their authentic selves, and it is dangerous and unacceptable to out a transgender person. It is heartening, however, to see the strong support for Zeke from the other people in his tribe. Moments like this prove that when people from all walks of life get to know a transgender person, they accept us for who we are. I’m not wild about you knowing that I’m trans. An odd sentiment, I realize, for someone who signed up for two seasons of the CBS reality giant, Survivor. See, when I got on a plane to Fiji last March, I expected to get voted out third. I’d return home, laugh at my misadventure, and go about my life, casually trans in the same way that Zac Efron is casually Jewish. He also used the spotlight to make at least one joke on Twitter. And a series of more important statements. Read Zeke Smith's full column, here.